Ellok klass 185 070-0 typ DB, loket har mfx digitaldekoder, loket kommer från ett startset, tyvärr har det ingen kartong. 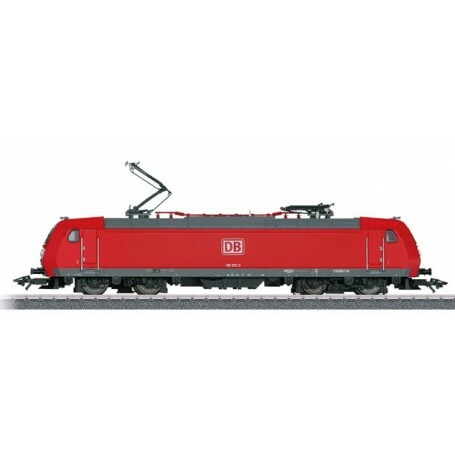 The locomotive is constructed of metal and has an mfx digital decoder and a special motor. 4 axles powered by means of cardan shafts. Traction tires. The triple headlights change over with the direction of travel, will work in conventional operation, and can be controlled digitally. The headlights are warm white LEDs. The locomotive has 2 pantographs that can be raised and lowered manually.